Age Limit: 21-42 years as on 18/10/2014. Fee for Application : Interested candidates need to pay a sum of Rs. 1000/- (Rs.250/- for SC/ST/BC/ PWD/ female of other states) (No fee required in case of PWD/ Female candidates). 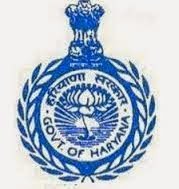 Application Instructions:: Candidates can apply Online at Haryana PSC website at http://www.hpsconline.in on or before the deadline : 18/10/2014.